The way we produce food today is, for the most part, hugely wasteful and has a huge impact on the environment, vertical farms, clean meat, and now other “animal free” products are starting to disrupt the status quo. Over the past year we’ve seen the traditional agricultural industry come under increasing threat of disruption from vertical farming companies like Plenty who recently landed $200m in funding to build giant indoor farms next to cities, the rise of automation, and and much more. Now though it’s my prediction that one day cows will become extinct, or at least that they’ll be preserved in zoo’s as “museum pieces to the past.” And no, I haven’t gone mad, but as technology helps us to realise the dream of 3D printing leather, and bioreactors let us grow beef and steak, among other tasty meats, known as “Clean meats,” that are made without the animals, and now, as gene editing helps us create milk and other dairy products, such as Caesin and Whey, you have to wonder why we’ll keep them around. Over the past couple of years a start up in the US has been diligently working to tweak the genetic code of one of our oldest microscopic cousins, yeast, and now, the company behind the genetic tom foolery, Perfect Day is “aggressively looking to challenge the way people think about traditional dairy products and how they’re made.” In short, they believe in a future where all the dairy produce you consume is “animal free,” and as a by product that also means it will be antibiotic, hormone and steroid free, as well as cholesterol and lactose free too boot. After raising $24 million in Series A funding recently the company is now in talks to sell its newly patented casein, milk and whey proteins to large food brands as a replacement for traditional cow sourced products, and if they’re successful it could change the way the majority of foods on our grocery stores are made, as well as being a big boost for the environment. Livestock animals are one of the biggest contributors to global greenhouse gas emissions, according to the United Nations. Cows, in particular, require more energy than smaller pigs and chickens, which means they eat more grain, drink more water, and emit more methane gas than their barnyard peers. Dairy farming today is no help to the global effort to slow down climate change. As most of you will know, a tremendous amount of cow milk inevitably winds up being pasteurized and served up in liquid form, but in many cases, the components of the milk, once they’re run through industrial processes, also end up being used as ingredients in food. These ingredients, such as lactose, casein, and whey, are then sold to food manufacturers who use them in countless products, from yogurts, cheeses and chocolate spreads to canned tunas, hamburger buns and potato chips. Using its new technique Perfect Day wants to flip that entire model on its head by training yeast to create milk and milk derived products without ever needing a cow. 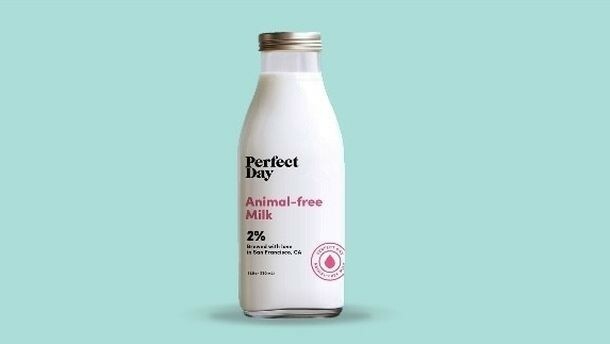 Perfect Day also has a potentially innovative market strategy. Instead of trying to sell their own branded products they plan on partnering with existing food manufacturers. That gives them an under-the-radar opportunity to infiltrate and disrupt dairy from inside major food brands. “What we’re trying to build is too big for an individual brand, an individual category,” Pandya says. The company says it’s in conversations with some of the world’s biggest food companies, but declined to name them. 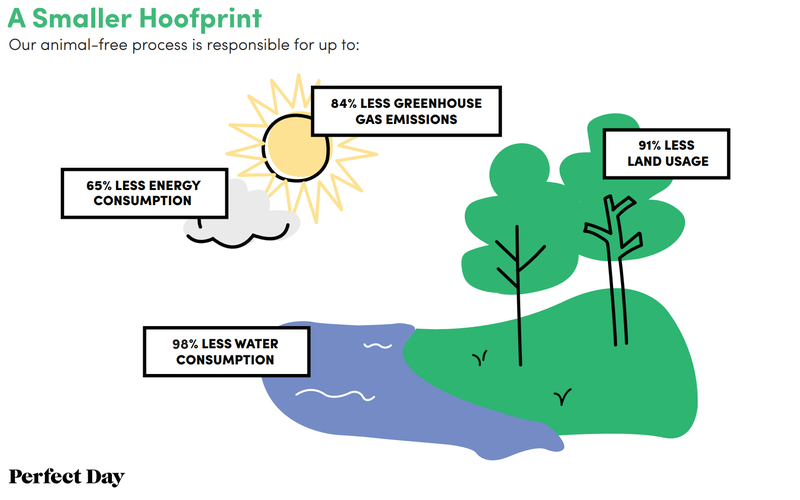 If those relationships come to fruition, Perfect Day’s sustainable alternatives have a chance to become as ubiquitous as milk protein. 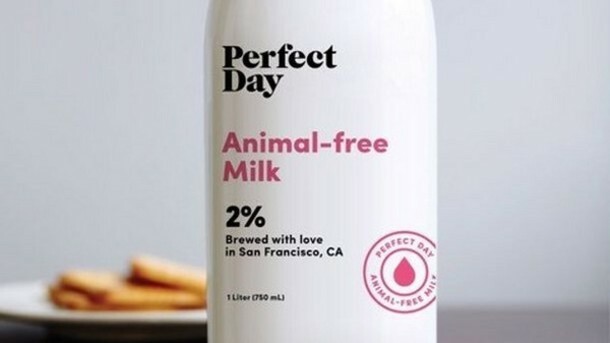 That said though, naturally, some dairy farmers are becoming increasingly defensive about Perfect Day’s mission, and some have invoked the term “fake milk” to describe what the company makes. But, meanwhile, Pandya and Gandhi insist they don’t have aggressive aims. Scientists revolutionary liquid reverse filter is "straight out of science fiction"
It’s an oblique reference to past statements made by CEOs of cell-cultured and clean meat startups like the ones I linked to above. 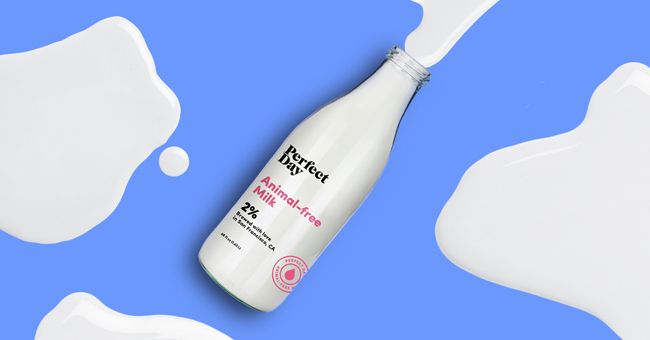 But the reality is that even if Perfect Day seeks to set itself apart from the attitudes of other food-tech companies, it also does seek to fundamentally reshape how the dairy industry looks and operates. Pandya and Gandhi say they would like to see dairy farmers consider switching from making milk to creating their newer protein product. Whatever its intent though Perfect Day has also drawn skepticism about how close it is to actually causing much of a stir in the industry any time soon, if ever. Matt Gould, a dairy industry analyst, says now that Perfect Day is positioning itself more as an ingredient company it needs to be able to deliver on two fronts. First, it needs to prove its proteins are as pure as conventional proteins, and that any extra by products the company’s yeast create don’t negatively impact food texture, taste, or safety, and secondly, the company must compete with conventional dairy ingredients on cost. Both of which are great points. A report Gould compiled, and shared with Perfect Day’s co-founders, back in 2016 estimated the long-term cost of conventional milk protein at $2.50 per pound. “Everyone I’ve talked to has been very skeptical that they can get their cost low enough to compete and outdo dairy,” says Gould. I myself have seen this statement time and time again, and time and time again, whether it’s the cost of compute, connectivity, storage or energy, which itself, thanks to the surge of progress made recently by renewable energy and grid scale storage technologies is heading towards near zero cost, and even clean meat whose price per kilo has plummeted in the past seven years, know that as an argument this won’t hold up for long. If, or when, Perfect Day manages to create cost-competitive ingredients, with a formula that doesn’t change taste or texture, it has a real shot at making an impact, says Phil Lempert, a longtime grocery industry analyst who runs The Supermarket Guru. It helps, he says, that by going into ingredients instead of making their own products, the company will save money that would otherwise be spent on marketing and advertising. The dairy industry would be wise to take Perfect Day seriously, Lempert says, especially when you consider the growing popularity of plant-based milks and even Coca-Cola’s Fairlife milk products.